Our posters are created using Solidworks 3D CAD program. 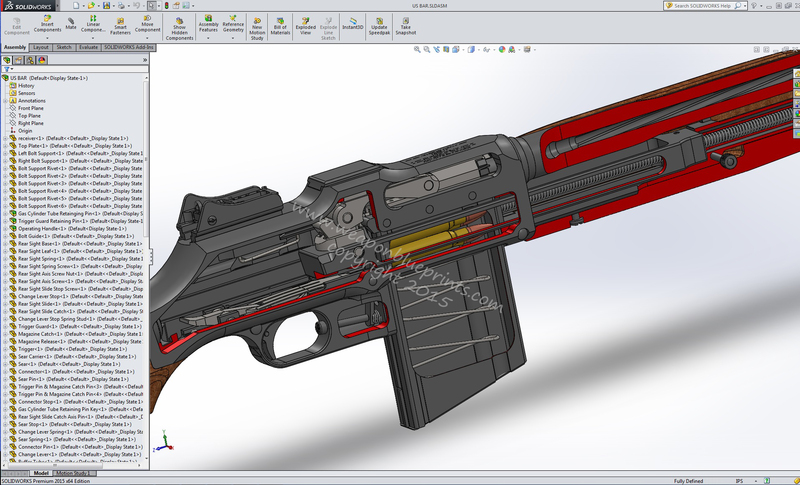 The Solidworks models are generated using either original blueprints or reverse engineered from the actual weapons. The high quality 3D models, being accurate to the original designs, yield our exceptional blue print posters. Most computer model files and blueprints found on the internet these days are caricatures of guns at best. The 3D computer models used in the weaponblueprints.com posters are generated by a degreed Mechanical Engineer with 25 years of experience. Much of this experience has been working for companies designing and manufacturing the latest in military weapons. New posters are being added all the time so check back often for the latest posters. Go to the SHOP page to look at our currently available posters.